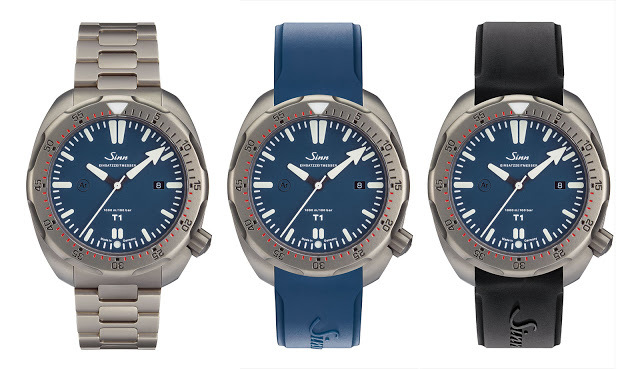 Sinn has added colour to its line of titanium dive watches with the T1 B and T2 B, both equipped with matte blue, electroplated dials. 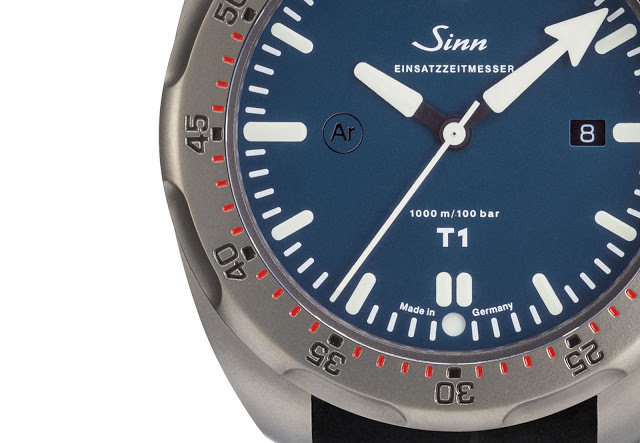 Launched in 2013 with conventional black dials found most dive watches, the titanium Sinn T1 (EZM 14) and T2 (EZM 15) offer a lightweight alternative to its successful range of dive watches made from dense submarine steel. 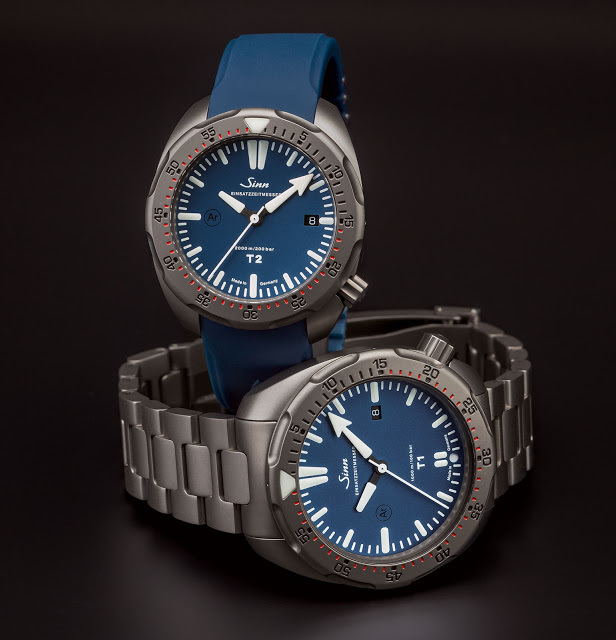 Both titanium watches are now available with dark blue dials, as well as the option of a blue rubber strap. 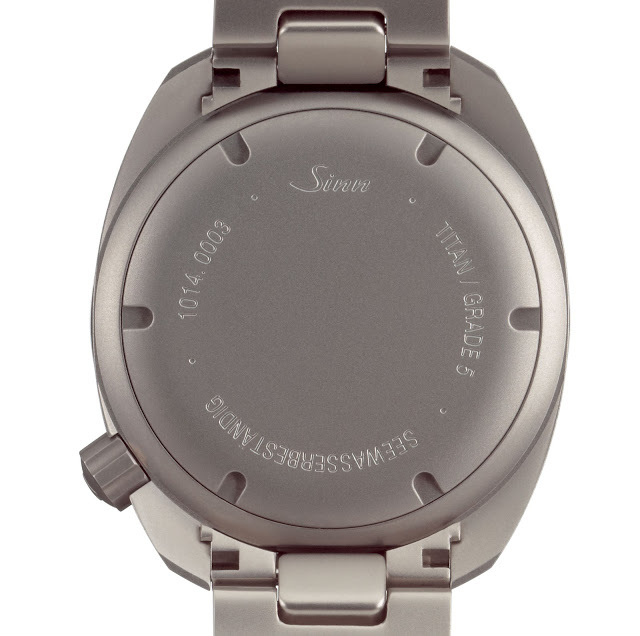 The larger of the two, the T1 B is rated to 1000m, with the titanium case measuring 45mm in diameter. Measuring 41mm in diameter, the T2 B is smaller but boasts a depth rating of 2000m. Both models have been tested by DNV GL, an industrial testing and certification body. DNV GL tests them not only for water resistance, but also temperature resistance and functionality according to European standards for diving watches (EN250 and EN14143). 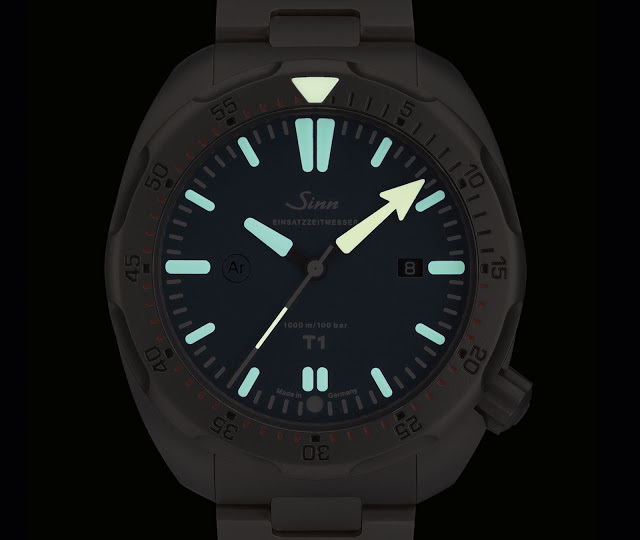 For maximum legibility in low light and underwater the minute and seconds hands, as well as the bezel marker (the three indications most important to divers), are painted with yellow-glowing Super-Luminova, to distinguish them from the other luminous markings on the dial. 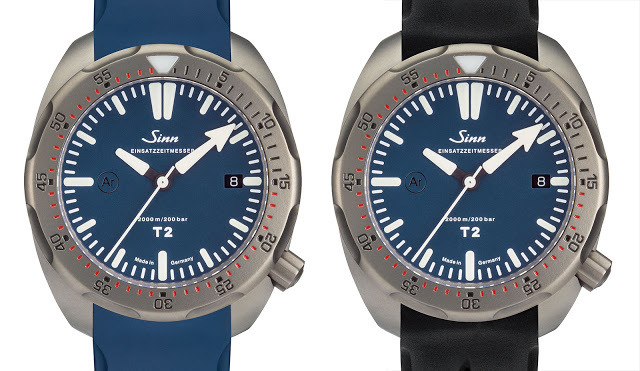 Both the T1 B and T2 B are also fitted with Sinn’s patented argon dehumidifying technology that fills the case with inert argon gas to prevent moisture from entering. A capsule with copper sulphate is also embedded in the case, absorbing what moisture does enter. This copper sulphate capsule is visible at six o’clock on the dial and starts out white; once it turns dark blue replacement is necessary. Prices for the blue dial models have yet to be announced, but they will be similar to those for the black dial T1 and T2. 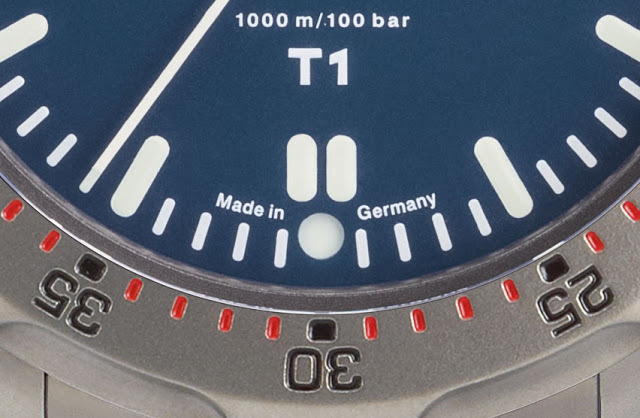 Depending on the strap option, the T1 costs between €2390 and €2700, while the T2 is priced between €2190 and €2500, including 19% value added tax.